Could anything look more ridiculous than a bungalow perched on three meters of earth in the middle of the road? The newly constructed single-story house exists in Brgy. Balayan in San Pascual, Batangas—its fate made possible by the 2017 plan to construct the almost 10-km. Bauan-San Pascual-Batangas City bypass for P1.104 billion. The house’s residents are confirmed victims of the government’s flawed law on right of way compensation for those whose properties are eyed for demolition so the government can build roads or other similar infrastructure in their place. While later reports said the owners have already received a payment from the Department of Public Works and Highways (DPWH) on top of the P710,393.34 earlier promised for the destruction of the one-year-old house, similar cases are now surfacing throughout the country following the Inquirer’s special report earlier this week. In Lipa City also in Batangas, part of the P2.1-billion Lipa City-Padre Garcia Diversion Road wraps around part of a house also affected by a road construction project. The plan is to build 12 kms. of road to ease traffic congestion on the route from Manila to San Juan, Batangas. In Sariaya town in Quezon province, steel bars and precast materials languish in the middle of a road as the DPWH grapples with right of way concerns with residents who will be affected by the construction of a 7.2-km. 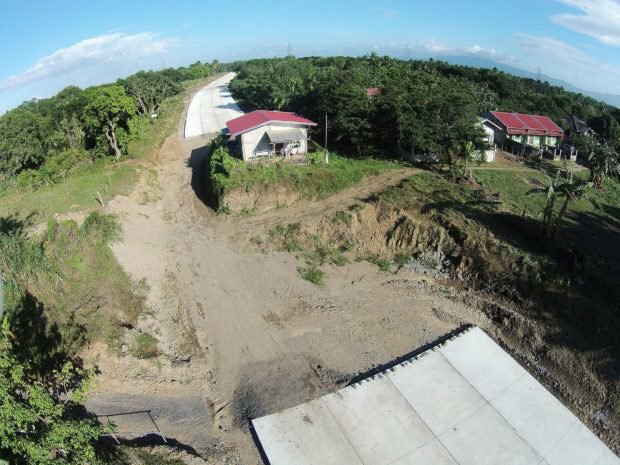 bypass or bridge that would cost P467 million. Senator Panfilo Lacson. Photo from Inquirer.net. “You can’t help but laugh or you will just get annoyed,” said Sen. Panfilo “Ping” Lacson, who called the Inquirer’s attention to the government’s inadequate implementation of the Right-of-Way Act (R.A. 10752). R.A. 10752 requires land owners to produce land titles as proof of ownership. In case of “imperfect titles” where owners can only show other documents such as tax declarations as proof, an added condition is for them to attest to at least 30 years of “continuous, peaceful possession” of the property. Another thing working against homeowners is the requirement that limits the role of computing the appraised value of a property eyed for right of way acquisition to “accredited appraisers” like government financial institutions or one recognized by the Bangko Sentral ng Pilipinas. The lack of a most likely Manila-based accredited appraiser that will study local cases has severely delayed the process of compensating many affected lot owners. The law is hardly perfect. In the case of the family that owns the “elevated” house blocking the road in Barangay Balayan, they only had tax declarations as proof of ownership, hence the offer of the DPWH to pay only for the house. It took the Inquirer’s special report for the department to shell out more (still undisclosed) funds for the land that the residents are forced to leave. A house in Batangas lies in the middle of a bypass road in construction. Photo by Grig C. Montegrande of Inquirer.net. Things being bad as they are, moves made by Congress and the DPWH have made things worse. Lacson unearthed records showing that as of October 2018, around P74.6 billion worth of road projects with right of way problems had zero to close-to-zero physical accomplishments. The year before this discovery, the senator already tried to have a separate P50.8 billion worth of public works projects deleted from the draft 2018 budget because of the still unresolved right of way cases. A male colleague intervened however, promising to take care of the right of way issue that happened to occur in his congressional district. The projects have hardly progressed to this day. 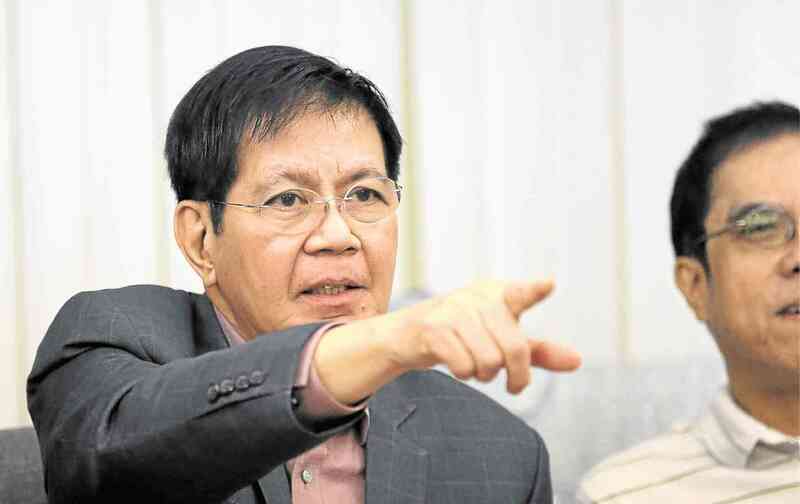 Lacson maintained that right of way issues must be resolved first before a project should start. Which is what did not happen in Batangas. Records indicate not a single homeowner has been compensated in either the Barangay Balayan or Lipa road project. The same thing has happened in Quezon province where home owners were initially offered as little as P15 per square meter by surveyors. One Sariaya resident said the home owners also discovered that non-existent lots were inserted in the government plan, apparently to balloon the compensation budget that would be given to affected owners. Even before the Right of Way Act was crafted in 2016, the country had already been dealing with right of way issues involving government projects and affected lot owners. In past administrations, the promise of right of way compensation had inspired professional squatters who in some way manage to get hold of blueprints of road projects being planned. These criminals would then build illegal structures in areas sure to be occupied by future roads and collect remuneration in exchange for the removal of the illegally occupying houses. But hasn’t the government learned its lesson from these experiences and made sure measures are in place so that infrastructure projects are not delayed by similar dramas? One glaring observation is the lack of coordination between lawmakers who insist on providing budgetary allocations for problematic projects like those in Batangas and Quezon and the DPWH that agrees to implement the projects despite these numerous loose ends. In the case of the Batangas projects, a DPWH task force was created to assess compensation packages. However, its role is limited to an oversight function and searching for an accredited appraiser is still left to the head office in Manila. 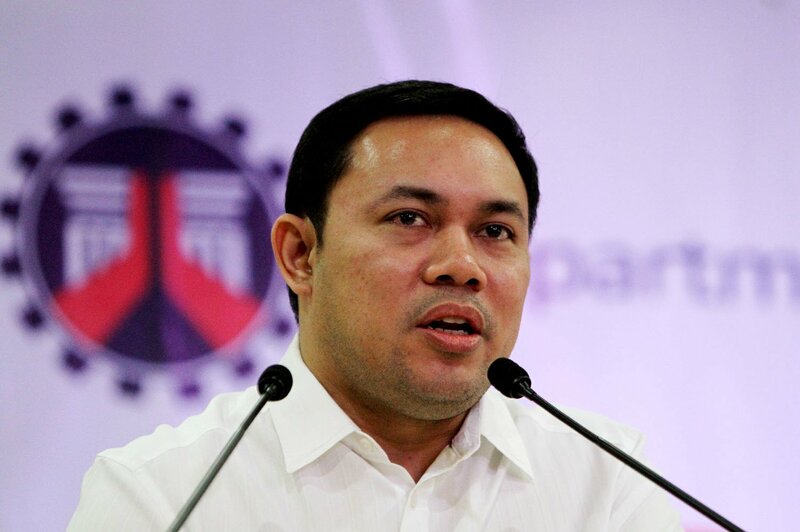 One of Public Works Secretary Mark Villar’s subordinates said the department has already distributed an order creating a legal division for each regional office to handle right of way cases. Would this work? We certainly hope so. Besides, are surveyors tasked to locate real property where infrastructure will be constructed going about it with a harmonious end for everyone in mind? Seems not. Otherwise, why has this been going on for years? And why would anyone insist on constructing a road knowing that the safety and security of residents whose properties are still in the way would be threatened? Judging from Lacson’s story, there is reason to suspect the motive of lawmakers who insist on approving the budget for projects with unresolved right of way concerns. Because as we know, contractors must be paid first for a project to start. Always.